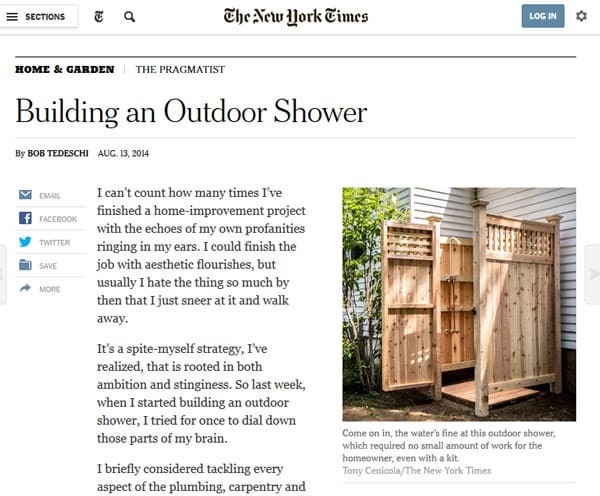 The New York Times recently covered the experience of building an outdoor shower, which can be fun, easy and satisfying! While this particular reporter chose a more involved version, which required digging posts into the ground, many of our models require little more than a hammer and screwdriver. 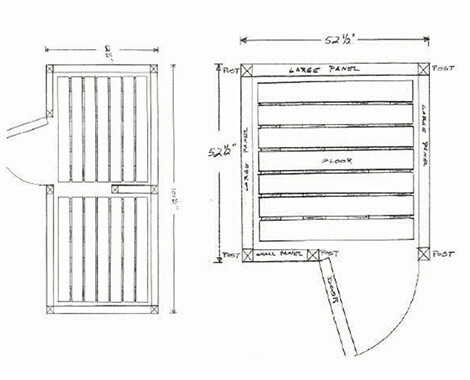 Building your own shower ensures that you will create exactly the space and experience that you envision for your home, and allows you to choose the very best materials and finishes that will not only be beautiful, but functional and practical as well. Surely something that The Pragmatist can agree with! 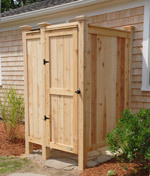 We at Cape Cod Shower Kits guarantee that when you finish installing your kit, you will not hear the echoes of your own profanities ringing in your ears, only the stream of fresh water rushing over your head and the birds chirping on the trees and rosebushes surrounding you. Order yours today, and see for yourself! 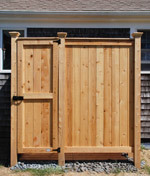 This entry was posted in Outdoor Shower and tagged cedar showers, DIY, lattice, Media, showers.